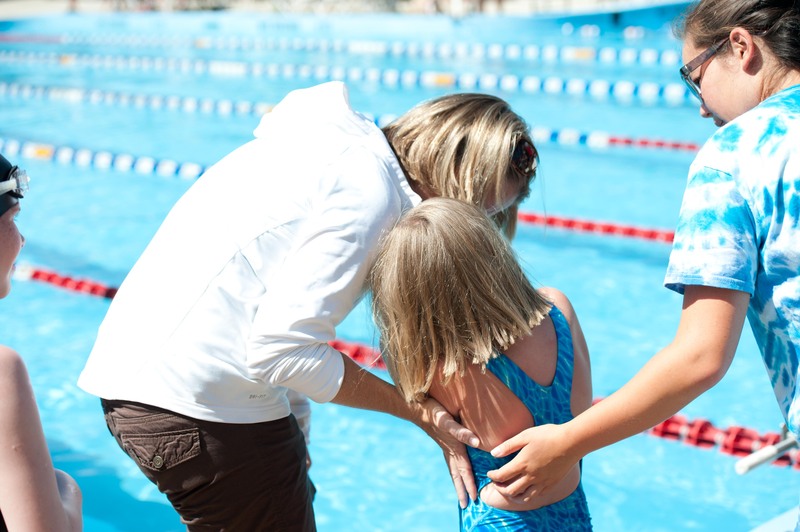 Milford Keyes Swim Team | Mother of the Year... AGAIN! Rye Guy swimming in the free relay. I have a couple of them… interestingly enough, neither Shad nor I were competitive swimmers but the kids are totally drawn to it. We only do the town summer team competitively and in the winter they swim, but don’t compete, with the Seawolves. Shea tells everyone she is on the team, but she doesn’t quite make it across the pool unassisted. So, she’s not quite there yet. Reilly, I’m wondering if this is his calling. He seems to be motivated to swim, better his time, and compete in the pool. It’s different than how he is with other sports. 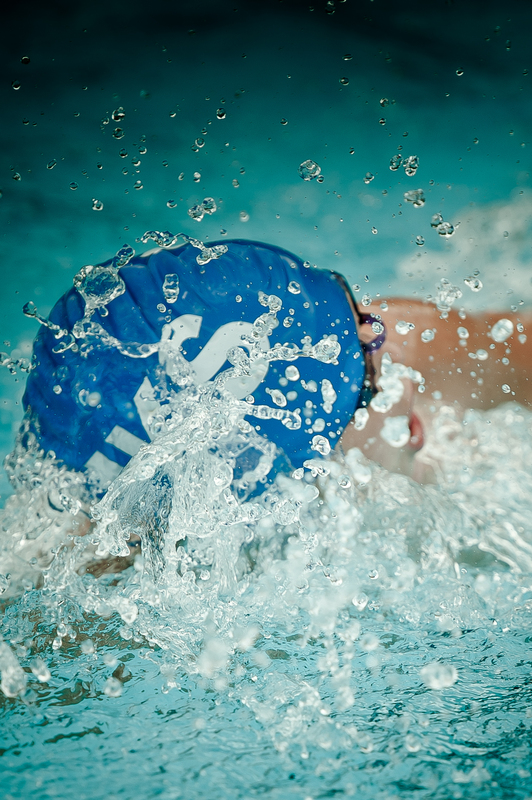 I took this photograph of him this past weekend – there is something about it that makes me feel stressed, and motivated for him to get to the end of the pool and inspired that he can be so driven to get there…fast! I thought it would be a great idea to sign the kids up for the local swim team this summer through the Parks and Rec department. Reilly and Kate are comfortable in the water but my new theory is swimming on a team will build a work ethic and a confidence in oneself by the sheer need to get from one side of the pool to the other. I don’t usually tell the kids when I sign them up for things. I just sign them up and I figure one day down the road it will be the right time for them to choose the things that THEY like, the things that think they are good at and want to get even better at doing. But… for now I chose swim team for them. We were away the first two days of practice and so on the third day I showed up with Reilly and Kate. I asked the coach where they should go, and this young coach Molly said, “how are they at swimming?” I hesitated because I thought there might be a right answer and then there was “my” answer. 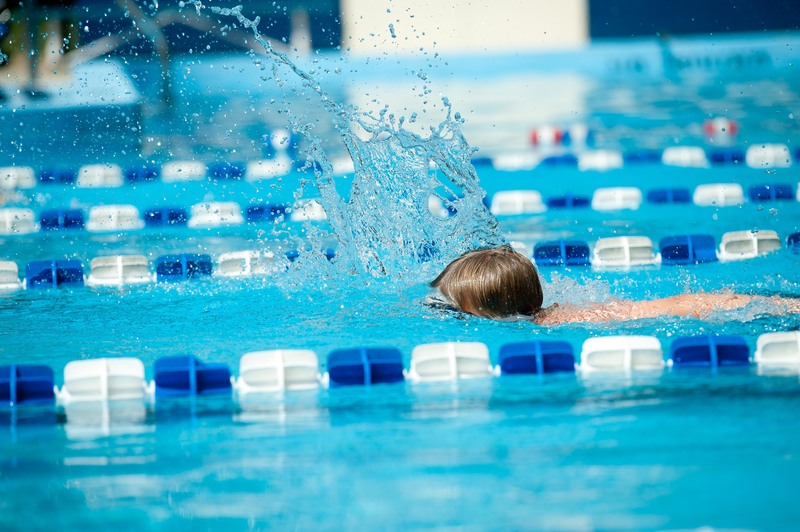 I gave my answer and replied “ummmm, they MIGHT make it across the pool.” Without skipping a beat she told me which lane they should go in and I was relieved – other children at their level. Perfect. Reilly found someone he knew and jumped right in. Kate, looking terrified, began to cry. She didn’t want to do it. I’m learning that I can throw Reilly in a situation and he thrives. Kate, well, she prefers to warm up to a situation. She sobbed on the side of the pool, I was caring and sympathetic for a few minutes but then I finally said “this is what we are here to do and when you are ready, get in the pool and do what the coach asks you to do.” About 5 minutes later she was in the pool … smiling. Getting a little anxious before her heat. A couple weeks later we had the first meet we could go to. I have no idea how swim meets run so I was a bit “dumb” checking out the meet. Reilly had it figured out in no time. Unfortunately the first meet was the annual Rotary Swim Meet that draws teams from all over the area. 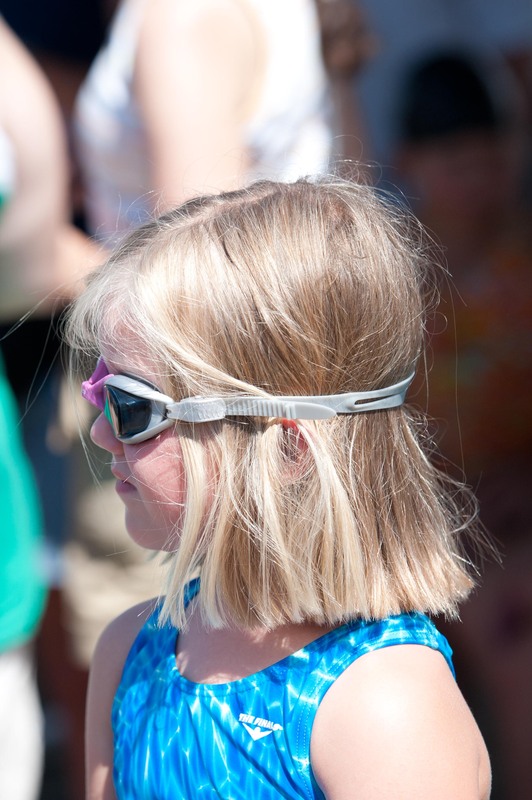 Hundreds of swimmers, all ages and all levels were participating. Kate had the 12th heat, she watched and asked questions about what she had to do. In hindsight I understand why it all happened but in the moment I didn’t see this building…. I would ask her questions of the parents I knew and relay the answers to her. Even better, when her coach was around, I could ask her. When it was time for her heat she began to sob. No, not sob, whail… no not whail … I don’t know what. But, given how strong minded she is I knew we were hitting a hurdle. Kate did not want to swim. I had no idea what the big deal was at the time. 25 yard freestyle against one other little girl. The could jump off the side of the pool and just swim along to the other side. Her coach even volunteered to swim with her. Nope, she wasn’t budging. I realized by hugging and consoling her and encouraging her to go in, I was actually enabling her behavior. I finally said “Kate, I will see you at the other end of the pool where you finish” and I started to leave. Her coach asked me what I wanted, I said that I wanted her in the pool to swim. She then asked if I was okay if she dropped her in to which I replied “yes”. I knew Kate could do it and I wanted her to want to do it and to actually do it so bad. I wasn’t sure what I wanted but I wanted for her to do it. I walked away. The officials stalled as they all tried to work it out. I saw Shad step in and then Kate walked away from the pool sobbing. The other swimmer swam her heat alone. I was so bummed for Kate and I had not experienced this type of thing before, I had NO clue what to do with it. Kate didn’t swim the rest of her heats and wore clothes to the meet on Sunday – no suit. The following Monday she came in while I was working and said she didn’t want to go to swim team. Tough love I thought… “Kate, you are going, you have to go, I have to work.” and I left it at that. She put on her suit and didn’t say another word. I heard she had a blast at practice and has everyday since. I think she really does love it. The next meet is this Friday. I told them I couldn’t be there, they need to do what the coach asks them to do. I plan on showing up and not being seen to see how Kate does. I’m worried for her, excited for her and nervous for her – all at the same time. I’m hoping she swims on Friday – all on her own doing. But… we’ll see, I’ll let you know in a few days.